Home > Our Blog > Press Articles > Early Excellence Resources Now Available on Amazon Business! At Early Excellence, we are delighted to sell on Amazon Business our fantastic range of early years furniture, classroom resources and storage. You are sure to already know and use Amazon yourself – after all, they do have a staggering 310 million active users worldwide – and you might even buy stationary or other items for your School, Nursery or Early Years Setting and claim the money back from your school bursar or back office finance team. 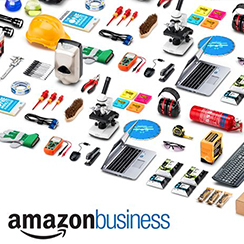 Did you know that the first customer of Amazon Business was a School? Yes, its true. Back in May 2017, Amazon launched a new Business to Business service in the UK, aptly named ‘Amazon Business’ and the first ever UK business customer to purchase from this website was a school. It’s no surprise then, that Amazon recognise that Schools, Nurseries and Early Years Settings form an important business customer base for the new Amazon Business Portal and as such, they personally asked Early Excellence to join them in helping to provide a world class service, providing high quality Furniture, Resources and Storage to the Education Community all over the United Kingdom. After a few month’s work selecting, describing and uploading product onto Amazon Business portal, Early Excellence now have a comprehensive offering available – and we even have the EEX Brand registered with Amazon which allows us to create and publish our fantastic Early Years Furniture, Storage and Resources in an easily navigable portal on the Amazon Business Website. So, you might be wondering if you have an Amazon Business Account set up within your school or setting – and it might be worth checking with your office or finance team so that you can start to benefit from the amazing features that Amazon Business offers to the Early Years Education Community. But what are the benefits of purchasing through Amazon Business rather than the Early Excellence Website? Well, if you need our advice and support to refurbish your school or you are looking for a complete solution for EYFS or KS1 classrooms – then of course continue to look on the EEX Website and talk to us as usual. So whether you are a teacher at a Large School, Small Pre-School, Nursery or you are a Nanny or Childminder, shopping for Early Excellence on Amazon Businessis easy. Register today for a free accountand save time and money while searching and buying from over a hundred million products in Educational product categories such as School Supplies, Early Education Materials and School Storage and Boxes – but don’t forget to find Early Excellence – and all of the furniture, resources and product you love.